Burglary can happen to anyone in any neighborhood across the globe! Recently people have had to change and adapt due to the unsteady economic times. Don’t be caught off guard! During these difficult times, when rates of unemployment are high, and daily balances in your checking account are low, average rates of crime, including violence, drug related charges, and stealing, will typically increase. This has been a pattern throughout history. These days, people have been living with less, due to the circumstances. Americans live with enormous amounts of debt and even impressive college graduates have a difficult time finding lucrative work. Many people used to be able to afford the simpler things in life, like clothing and food. Now, more than ever, people are clipping coupons and yard sailing. For some people though, they choose a more criminal route and decide that it is alright for them to take other peoples material possessions that other people have worked hard for. This can be done in many ways, but here are some tips to prevent someone from breaking into your house. Stay alert, be smart, and stay protected! Leave a car in the driveway. You will deter possible predators who are looking for an empty house. Most burglars just want the easiest way to get something for free and would rather not worry about facing a homeowner. Keep your shades, curtains, or any other type of indoor window decoration at least slightly open. This makes your house appear as if someone is home. Having a home that is visible to the street can be a slight advantage. Many robberies occur in homes that are more hidden from street traffic, since this decreases the possibility of the criminals being seen. Trim bushes, shrubs, and tree branches near windows and in the yard to expose your house more and increase it’s visibility to the road. Plus, burglars may attempt to climb on large branches and use them as a ladder to break in to an upstairs window, one that perhaps you or a family member may have forgotten to close or lock! Always have a neighbor, friend, or even the post office get or hold your mail and paper. It is so obvious that someone is away when they have three of four newspapers lying on their driveway! It is wise to put some lights on timers that will light up different rooms of your house throughout the evening. Lights turning on and off will insinuate that someone is home. Keep all windows, doors, and bulkheads locked. Use deadbolts! Install motion-detecting lights. The more light, the better! Invest in a home security system. It is like someone is always watching out for your home, while you’re in it and while you’re away. 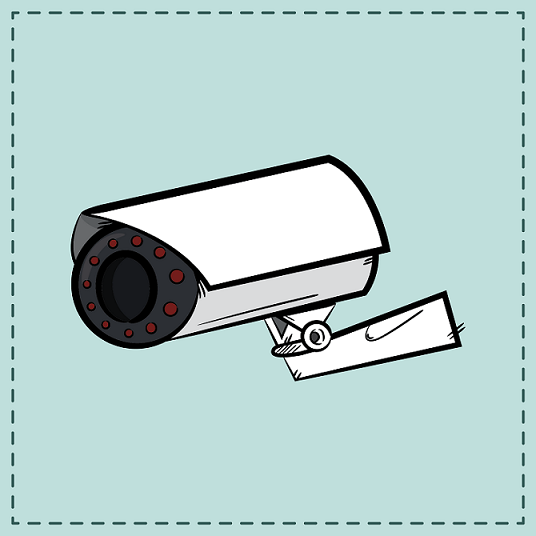 A criminal is less likely to victimize a house that has a security system, alarm, or a video surveillance system.